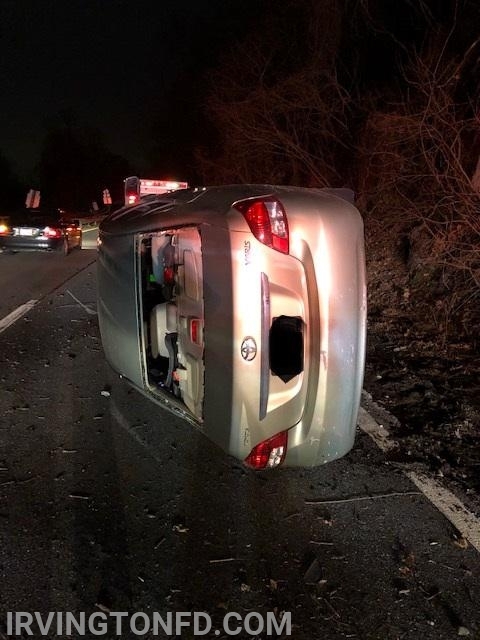 The Irvington Volunteer Fire Department was dispatched to the Saw Mill Parkway Southbound for a motor vehicle accident at 5:51 AM this morning. 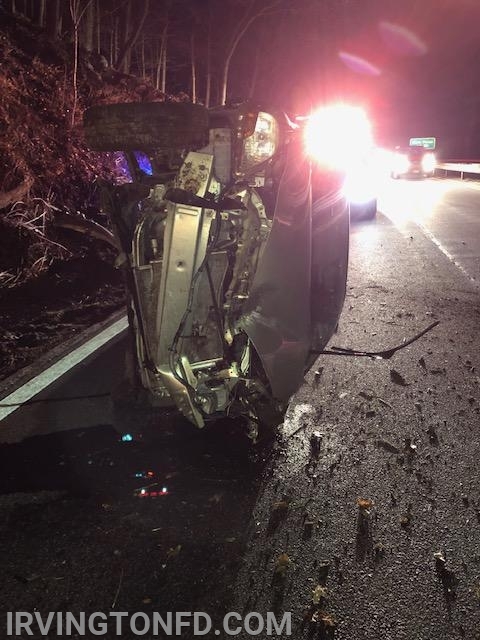 Upon arrival, the members found a single car accident with the vehicle resting on its side. The victim was able to self extricate out of the vehicle and was taken to the hospital for evaluation. The Irvington Volunteer Fire Department wants to remind you to please drive safely and slow down/move over when you see emergency lights.